EPISODE 69: CHRISTMAS GIFT GUIDE! MATTIE McGRATH SONG! QUIGG & LOWRY STEAL APPLES! THE INCREASINGLY TINY CASE OF OCEAN’S 8! – Quigg’s Christmas gift list sponsored by Paul Galvin’s Galvanized Paul Pears. 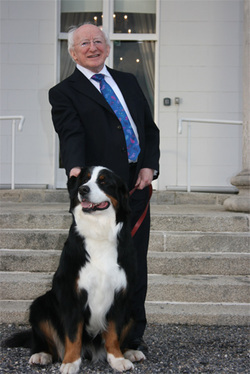 – Quigg and Lowry accidentally kidnap the President’s dogs while stealing apples from Phoenix Park. – Quigg discusses the increasingly tiny cast of the Ocean’s 8 film. – A new Gay-To-Straight conversion technique arrives in Ireland and Quigg reveals his part in previous variations of this method. – Quigg sticks the boot into his old enemy Mattie McGrath who stole a plum parking space that Quigg was reversing into at the 2004 Fianna Fail Ard Fheis. Giles is a comedy fellow from Athenry, Co. Galway. He's written jokes for "Irish Pictorial" and also wrote/directed the RTE Storyland series "Student Teacher". He co-hosts the monthly comedy show "The Mess Around" with his friend Colin Chadwick in The Workman's, Dublin. Giles helped devise an early incarnation of "The Alison Spittle Show", wrote the theatrical farce "Couples Counselling", was choked on "Republic Of Telly" and recently played Barry Man the barman in RTE's sitcom "Nowhere Fast". Giles is currently co-writing the animated adventure show "Divine Consultants" with Adam Cullen and creator Juha Fiilin for YTV.